Hector Bellerin has taken a less than subtle jab at Arsenal’s Premier League rivals for overspending on players in the transfer market (via The Metro). The transfer window has closed and now is the time for fans, pundits and players alike to sit back and look at the state of the market. This summer saw another massive level of inflation in transfer prices due to the likes of Neymar moving to Paris Saint Germain for up to €200 million. 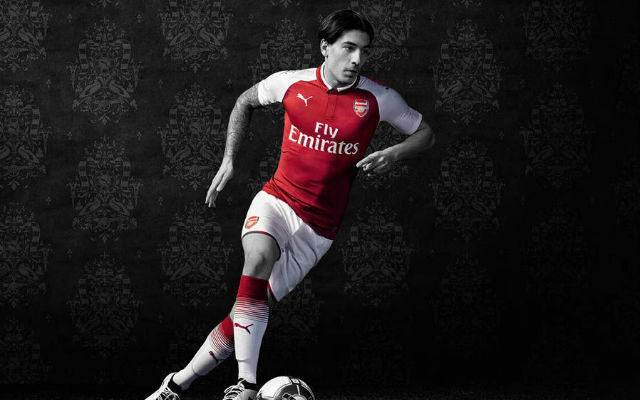 The Premier League was no different with both Manchester clubs spending huge sums of money on players and now, Arsenal’s Hector Bellerin has criticised the way things are going. “Football is not just about spending money,” Bellerin told IBTimes UK. “There are some clubs paying £100m and £200m on players but I do not think that’s the philosophy. “The important thing is to build a good team, a good block and get results from there. Sometimes it takes time while other clubs use money. Arsenal did spend big on Alexandre Lacazette who joined the club from Lyon for £52 million. As with everything, footballers are worth whatever people are willing to pay and the huge competition between clubs across the world as well as the massive increase in television money and the rise of wealthy owners has led to this transfer market. Bellerin is absolutely right to say what he has said but it’s not like Arsenal aren’t spending big.